I don't dream at night, I dream at day, I dream all day; I'm dreaming for living. My first reaction, every time I delve into an episode of history that I don’t know very much about, is anger that my teachers never taught me about it. Most of his films are generally optimistic in nature. The film is known for John Williams' score and its unique title sequence. The miniseries is believed to have cost $250 million and is a 10-part war miniseries centered on the battles in the Pacific Theater during World War II. 5 billion worldwide. 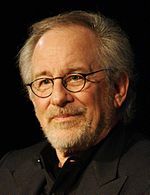 Spielberg won the Academy Award for Best Director for Schindler's List (1993) and Saving Private Ryan (1998).